Flying economy is not, traditionally, a perk-filled journey. AirCom Pacific enlisted NONOBJECT to redesign the experience, starting with the (much-maligned) seats. 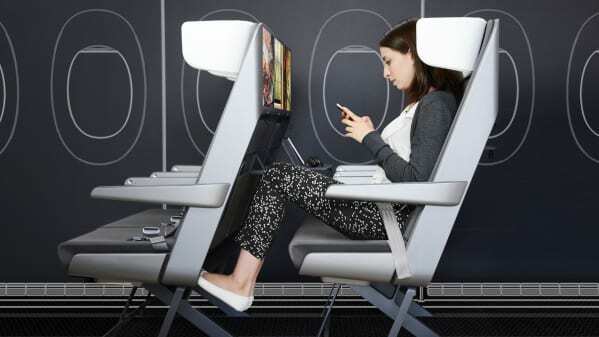 Here, an integrated footrest provides a place to rest your tootsies; a revamped headrest gives more support; reclining actually settles into a comfortable position; and a tray table in front has three progressively open positions, culminating in completely horizontal, which reveals a screen and menu that can be used to order food and movies.